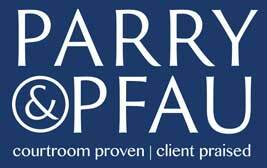 Hi, my name is Zach Parry, an attorney with Pickard Parry Pfau. I’m going to tell you a little bit about one of the most ridiculous lawsuits I’ve ever heard of. This lawsuit was initiated by a plaintiff in Washington, D.C. This plaintiff, a federal judge, Judge Ray Pearson, was apparently victimized by a local, Korean-owned dry-cleaning business because he went to pick up a pair of pants, and they gave him the wrong pants. This is the third and last in a series of blog posts addressing judicial mechanisms intended to prevent abuse of the legal system. In the first, we discussed the inadequacies of Rule 11. In the second, we discussed the practical application of the fee-shifting statute, NRS 18.010. In this post, we will be discussing a separate tort claim called abuse of process. In the previous post, we discussed the requirements and ineffectiveness of N.R.C.P. 11, which is a rule designed to prevent attorneys and parties to a lawsuit from making improper written representations to the court and from pursuing inappropriate claims or defenses. In a future post, we will be discussing abuse of process as a separate claim. I have recently been involved in a number of hotly disputed cases where the other party took what I believed was an entirely unreasonable position. In the final analysis, the judges agreed with me. In one case, the opposing party was found in contempt, in another, the other party’s motion to dismiss was denied, in another my client was awarded a judgment for several thousand dollars, and in yet another, my client was given a protection order. In each case I asked for an award of attorney’s fees, and in each case the judge either refused to award them or awarded far less than what was expended.